As genealogists, we know that we need to cite each and every record used in our family history research. That much I’m sure we all agree on. But HOW we do that is where much disagreement arises. The topic could fill a book. In fact, it already has; several of them at that. These are the two biggies when it comes to genealogy. I must admit, I’ve always had trouble with citations and footnotes in general; how to format them, where to put them. Which comes first – the author or the date? Should the footnotes be on the same page or at the end of a chapter? Do we really need to be so particular as to how they’re constructed? Apparently so! It used to be acceptable to include enough information so that if someone else were to come across our research, they could easily determine where a particular record originated from. But apparently, that’s not good enough anymore. Now it seems they need to be constructed perfectly, with all items in a particular order as if our research report was some major term paper to be graded by a panel of red marker-holding genealogy professors. The date should NOT be written in Roman Numerals as it appears in that old book! City of publication, publisher and date HAVE to be in that order, WITHIN parenthesis! You’ve got a COMMA where a SEMI-COLON should be and a SEMI-COLON where a COMMA should be! 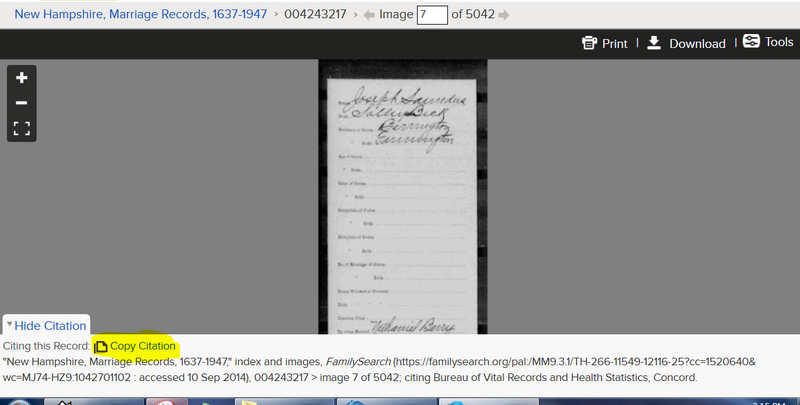 It’s enough to drive a genealogist MAD! Or at least write a blog post about it. And the RULES vary for each type of record! Whether it be a family bible filled with names and dates, Burlington Free Press newspaper obituary, Civil War pension application, 1910 census record or Italian marriage allegati, the RULES are different for each type. One size does NOT fit all. The consensus seems to be – there IS no consensus! How CAN there be with so many different types of records that we’re attempting to document? And these RULES are for U.S.-based genealogists only. “Our” RULES do not apply to England or France, where they have their own set of RULES for citing reference materials. Are you somehow getting a sense that I have issue with many of these RULES?? Anyway, enough ranting on the subject; how about a solution to a problem that many of us seem to have when attempting to link a citation to an electronic record, which we’re obviously seeing more and more of these days. What good is ANY citation “correct” or otherwise if it’s not with the record it pertains to? You might as well not cite that source at all if you’re keeping the records in one place and the actual citations in another. But with most electronic files, there IS a way to have the two always connected. As most of you know, sites such as ancestry.com and familysearch.com have come a long way to help ease our pain with all things needing to be cited. Most times, when you bring up a record on either site, the citation is RIGHT THERE, available to cut and paste. Pick a record – ANY record! 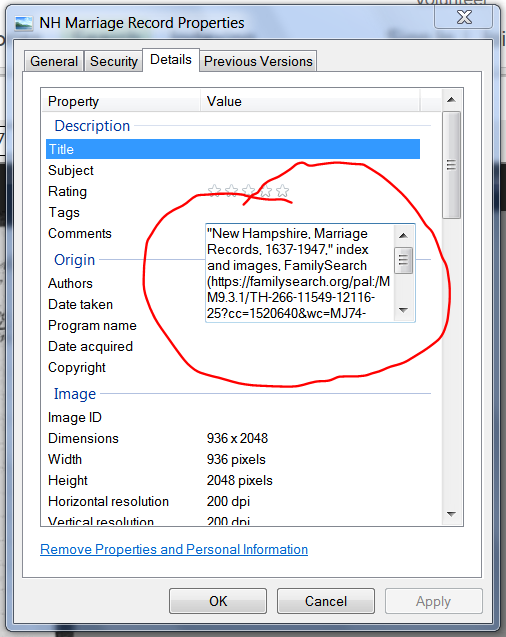 For this example, I randomly chose a New Hampshire marriage record on familysearch.com. First step, of course, is to download the record. 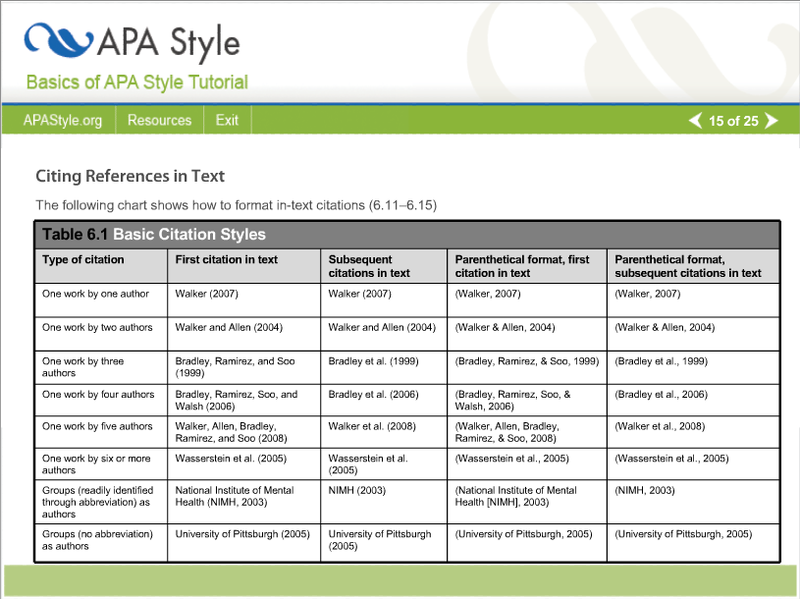 Then, as noted at the bottom left, is the little “Show Citation” box. Click on that and up pops the citation for this record. Hitting that “Copy Citation” will send it to your computer’s clipboard. Hit the “OK” button and the citation will forever remain within this .jpg file! Pretty slick, huh? And don’t worry about not being able to fit it all in that small-looking box. You’d be amazed at how much you can get in there! I have yet to fill it up and for music mp3s, as I sometimes put the song’s lyrics in there no problemo! So, you can add anything you’d like in there without any Twitter-like character restrictions. 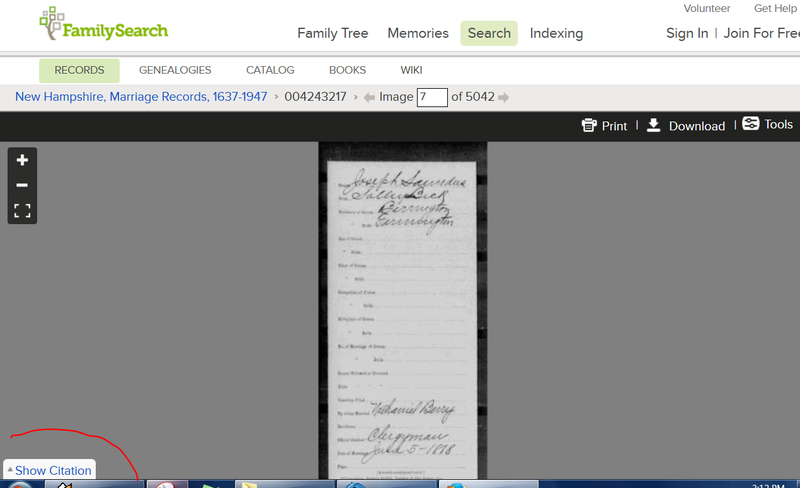 For ancestry.com, the process is similar; they just have a different way of copying the citation to the computer’s clipboard. The rest is exactly the same. 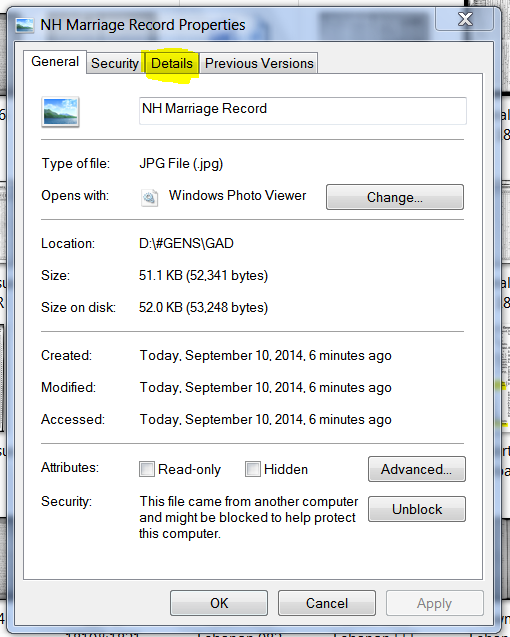 Two file types I have NOT seen a Comments box in the Details tab is .png (mainly via the Windows 7 snipping tool) and .pdf. The only way I know of getting around this is to copy the file to a .jpg format in PhotoShop, etc. The main negative in using this method is that you’d have to (somehow) let it be KNOWN that you’re saving the citations in this manner, as it’s not very intuitive. But if we all start cutting and pasting the citations and adding them to the comments in this manner, it would be a non-issue! With this, you’ll never have to look for an electronic record’s citation elsewhere ever again! Come to find out, though, most of the citations on these two websites are “unacceptable”, according to the two books above. But I’m not going to worry about that now, because I at least have SOMETHING useable attached to each record! 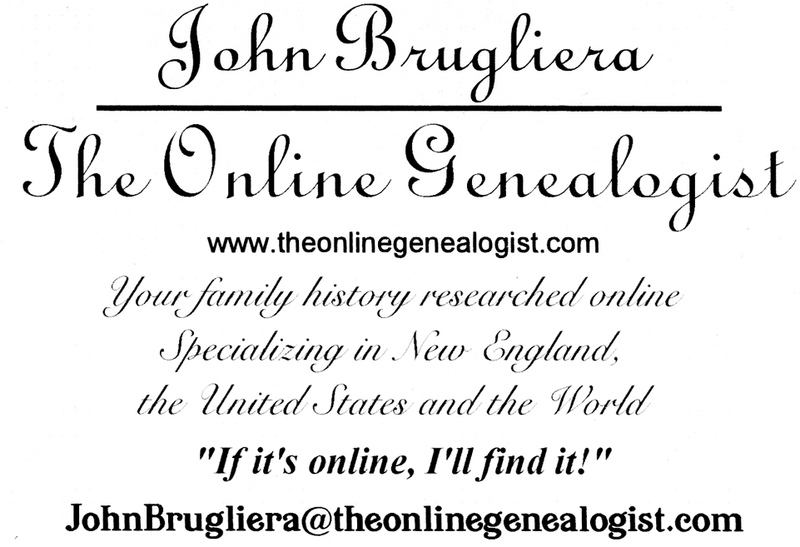 And if you don’t want to deal with citations or footnotes, hire ME, the Online Genealogist! !